"Channel Three will entertain you when television gets too seriousâ, the new entrant in Finlandâs broadcast television announced proudly at its launch in 1986. Channel Three was the first fully commercial television channel in the Nordic countries, founded and owned by a group of odd bedfellows: the public broadcaster YLE, its long standing commercial companion MTV and a growing electronics giant Nokia. The plans to start a commercial TV station were first severely opposed by leading politicians, but it was finally approved as a means to fight back international satellite channels and the efforts of major newspaper companies to enter the television market. 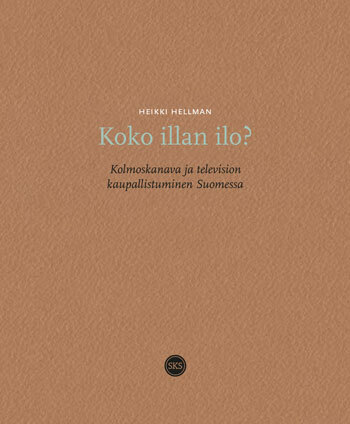 Drawing from media policy studies and based on archive documents, contemporary media coverage and interviews of the main actors, the book provides a thorough analysis of the stages of Channel Three, indicating how it, despite its short lifespan, contributed profoundly to the commercialization and marketization of television in Finland.